Of course, there is great food just on the other side of the promenade. Enjoy the swim responsibly and carefully. 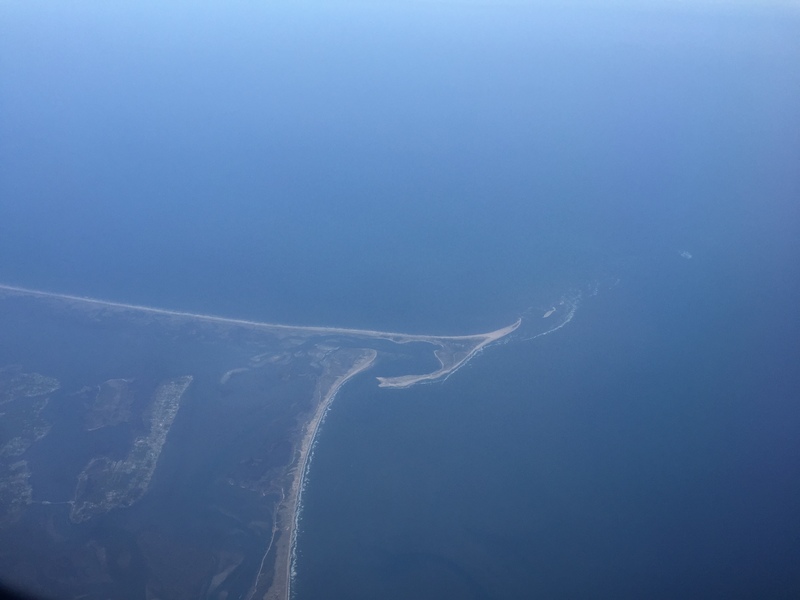 A sandy spit of land along the east coast of the United States of America. I’m not sure exactly where this was. I lost track of our location. Still, looking down from 35,000 feet can be very instructive, giving one a sense of how big, or how small, this planet is. Take time to enjoy the view wherever you are. Might as well take a look at the Holiday Inn on Palm Beach, Aruba, DWI. The lobby was recently renovated as well as some other improvements. Here’s a quick video taken with my iPhone. I’ll keep these quick vids coming. A few “local” things on the way. Stay tuned.